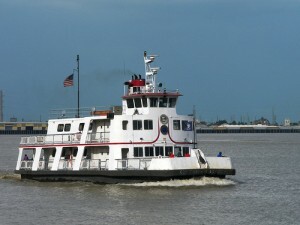 The Algiers Point and Gretna ferries will lose their funding in June 2013, and ferry service is in danger of being drastically reduced or cut altogether. Learn how you can take action to save the ferries. The Mississippi River is what defines our region, economy and landscape. It also poses a significant barrier between our east and west bank neighborhoods. 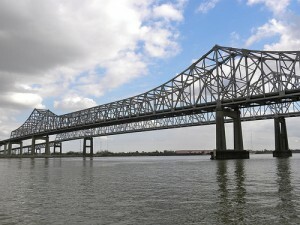 The Crescent City Connection twin span bridge provides cross-river access for vehicles but no accommodations for pedestrians or cyclists. Fortunately, the ferries have been able to fill that that gap. The Algiers Point ferry serves 1.1 million pedestrian passengers and 175,000 vehicle passengers per year providing early morning and late evening service. The Gretna ferry also provides a critical service; however, ridership is less readily available due to infrequent service operations in recent years. Do you ride the ferry? Fill out our survey online. Without the ferries, riders will have to fend for themselves. 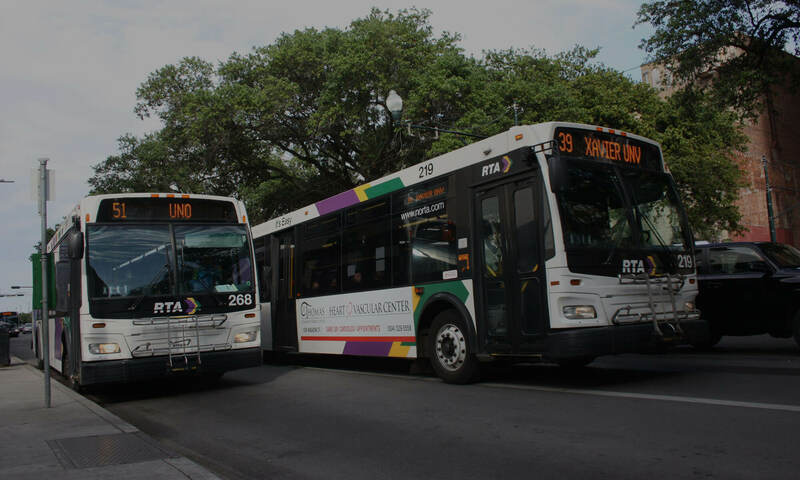 While the RTA does provide bus service across the river, connecting from the Algiers Point ferry terminal to the Canal Street ferry terminal requires riders to transfer between two buses and a streetcar – but only until 9pm – making for a long and difficult trip. Making the trip from the Gretna ferry terminal to the Canal Street ferry terminal is not possible with the current bus service offered by JeT. With more affordable housing options available on the west bank and job opportunities clustered on the east bank in the CBD and French Quarter, ensuring continued ferry service is critical. We are working hard to ensure ferry service continues. Sponsor the campaign, so that we can print fact sheets, surveys, and stickers for our ferry survey days, April 6th and April 9th. The RPC is studying all options to save the ferries – from raising vehicle ferry fares and introducing pedestrian and cyclist ferry fares to using vehicle license registration fees – discussions are on-going but no one clear solution has yet emerged. The clock is ticking, and we can’t wait: donate your data entry, video editing, photography, graphic design, or public relations skills. The first step of our campaign to save the ferries is to make sure that policy and decision-makers – from the Governor and State Legislature all the way down to our local officials – hear us loud and clear and understand exactly who will be impacted by the loss of the ferries. We have developed a survey for ferry riders, and we will spend all day riding the ferries with volunteers on Saturday, April 6 and Tuesday, April 9. Volunteer to ride with us, so that we can show decision-makers how vital the ferries are to our city. Organize ferry riders and supporters for further action. Please visit the Save the Ferries campaign site to learn more about how you can get involved.